Check out this blockbuster 2CD collection of platinum hits from the ‘80s & early ‘90s featuring one of the hottest and most well-known acts in music today, Cee Lo Green, plus many others! SKU: 5862. Categories: Audio CD, Double CD, Hip Hop, R&B, X-Ray. 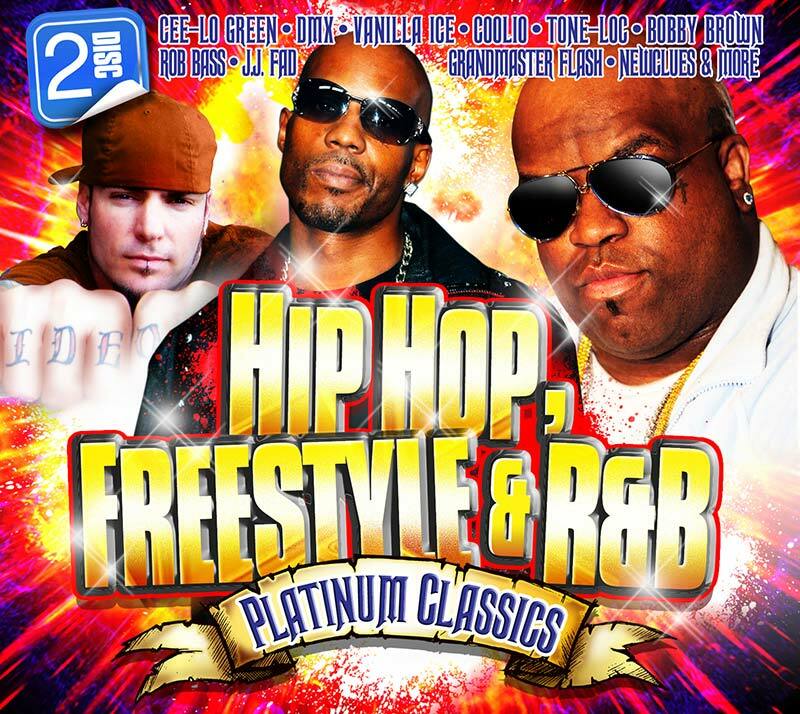 Go back to the old school with Vanilla Ice, Grandmaster Flash, Rob Base, Tone-Loc plus DMX, Blackstreet, Bobby Brown, Montell Jordan, Lisa Lisa & Cult Jam, Ready For The World, Club Nouveau and more! Get the party started with “It Takes Two,” “No Diggity,” “My Prerogative,” “Jam On It,” “Party Up (Up In Here),” “This Is How We Do It” and others!